Alloy, Other effects bundle or multi-effect from iZotope. Product replaced by the iZotope Alloy 2.
iZotope is demonstrating its plug-in, Alloy, at the NAMM show. iZotope Alloy combines six sound shaping tools into one integrated interface. For more information or a demo of Alloy, stop by NAMM booth 6920.
gained the attention of Pro Audio Review, who awarded it a 2009 PAR Excellence Award at the AES show in October. 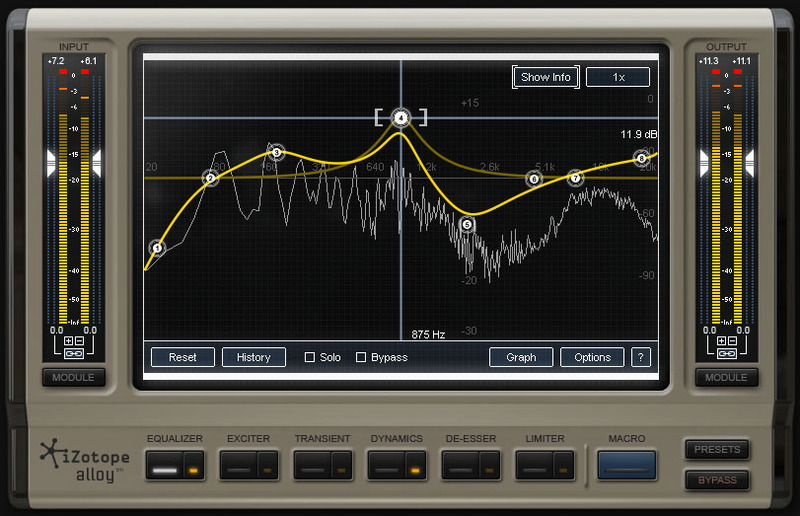 Alloy includes six modules: Equalizer, Exciter, Transient, Dynamics, De-Esser, Exciter, and Limiter. Over 150 MacroPresets combine Alloy’s modules into custom configurations for specific mixing situations, and each preset has a custom Macro layout showing the user simple, useful controls for the task at hand, the company says. Advanced users can build their own layouts and move modules around in the signal chain to customize the plug-in. Alloy is distributed by iZotope and is available at authorized retailers for $249 MSRP. iZotope Ozone owners can cross-grade to Alloy for only $149 directly from iZotope. 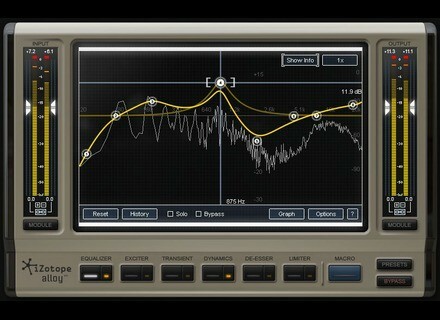 For more information, visit www.izotope.com. [NAMM] Peavey ReValver MK III.V Peavey announced the next version of its acclaimed ReValver amplifier modeling software, ReValver MK III.V, which debuts nine new amplifier and effects models. [NAMM] Sonic Reality Neil Peart Drums Vol.1 For the Winter NAMM show of 2010, Sonic Reality announced "Neil Peart Drums Vol. 1: The Kit," a sample library for BFD2 and Infinite Player, powered by KONTAKT, as part of the Drum Masters series. [NAMM] New Wallander Collections Wallander Instruments releases two new affordable collections of modelled brass & woodwinds, utilizing the NEW Standard Edition (SE) player.